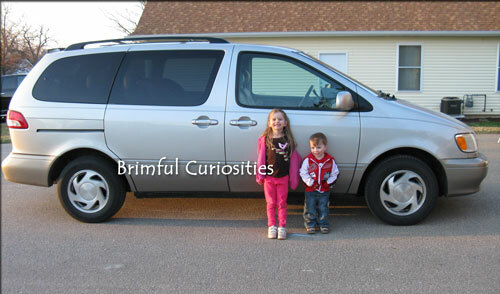 We've had this silver van since my daughter was born and just recently traded it in for a new one. I kind of feel like we lost a member of the family, but the kids weren't too sad to say goodbye. They like our new van better. I so understand. We have a 1985 Volvo station wagon (with half-a-million miles on it!) which we should get rid of (since we have 2 other vehicles), but which has been with us since my husband and I first knew each other. Phil... he's got a name, of course, is like a member of the family. aw I get attached to cars too. I understand! I get attached too! Same here...we get attached too, but when we got a new car recently the kiddos were way more excited than us. Congrats! I'm sure it held lots of family memories that you just don't forget that easily. The new one will too soon enough. We always kept cars/vans for a long time when I was a kid. So many people trade them in way too fast now a days. It's kind of sad to lose something that feels comfortable.